We love trying new Italian food products and one thing we’ve come to realize is that the more simple the product the better tasting it tends to be (especially if the ingredients are world class). Recently, we had the opportunity to try a Sicilian Pistachio Spread with Extra Virgin Olive Oil made by Il Cole Del Gusto in Lazio and it blew our collective minds. The Pistachio Spread is made from a Sicilian Pistachio blend and contains just the right amount of high quality Extra Virgin Olive Oil. 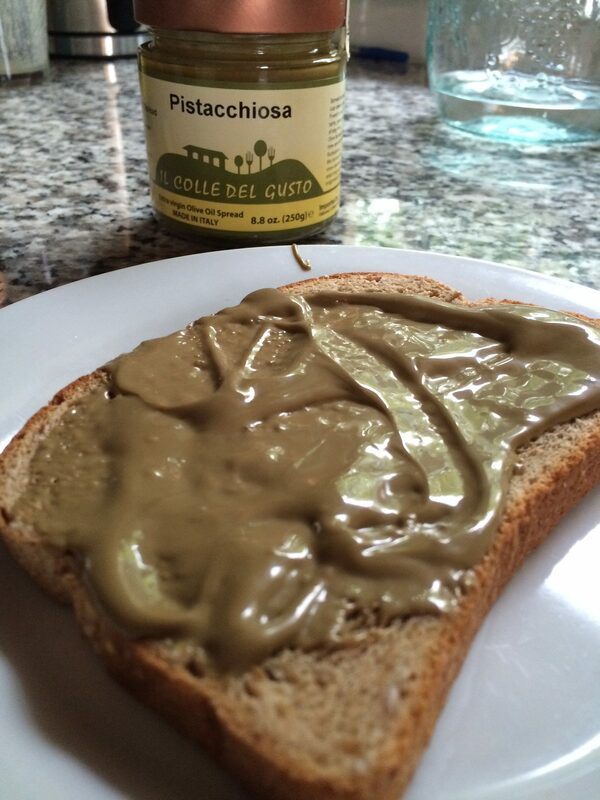 The end product is a silky smooth spread with great texture and a distinct, nutty, flavor. We’ve been enjoying the Sicilian Pistachio Spread on morning toast w/ coffee, drizzled over Greek yogurt and fruit, and have even made a variation on hummus (omitting the tahini paste for the pistachio spread). Sadly, most of the pistachios consumed in Italy today are grown in the Middle East however in eastern Sicily there are areas around Mount Etna and in the Bronte where pistachios are still grown (and used mostly in pastries or in pistachio ice cream). Pistachios are a very good source of protein, fat, fiber, and vitamin B6 and can be eaten dried or toasted. 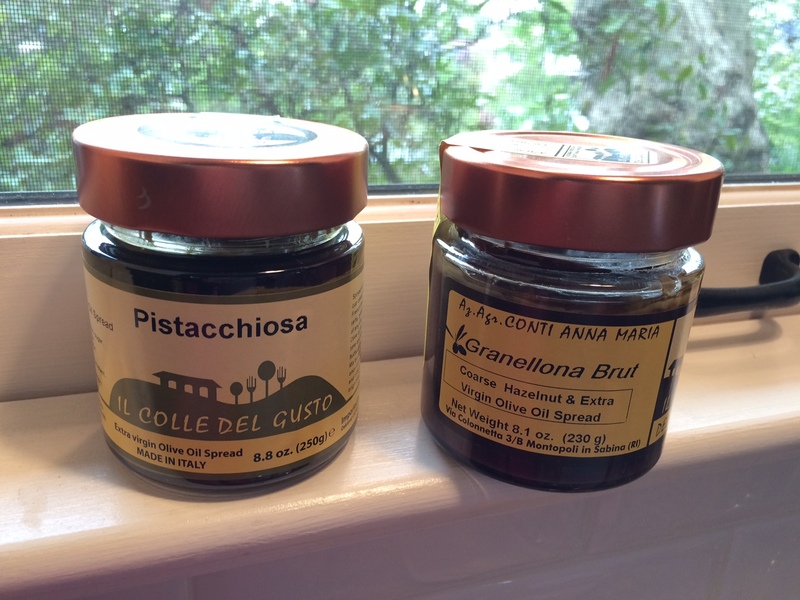 You can find Sicilian Pistachio Spread with Extra Virgin Olive Oil at the excellent online Italian food shop, Olio2Go.